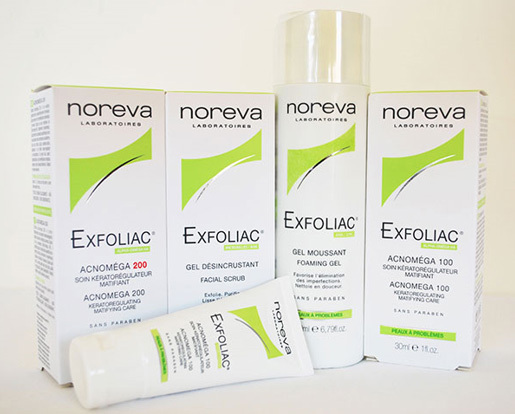 Exfoliac, the brand of Noreva Laboratories, is dedicated to the care of young and sensitive skins with moderated to severe imperfections. Exfoliac proposes a range of ultra-performing cares, at the cutting edge of dermo-cosmetic innovation, that answer to the wish of doctors, dermatologists and pharmacists. The Exfoliac cares allow to reduce the seborrhea, limit the sebaceous retention and the hyperkeratinization, avoid the development of acne and stop the inflammatory response.